A car was driving down the street when all of a sudden it started swerving. The car was going back and forth till someone with a cell phone called the police. 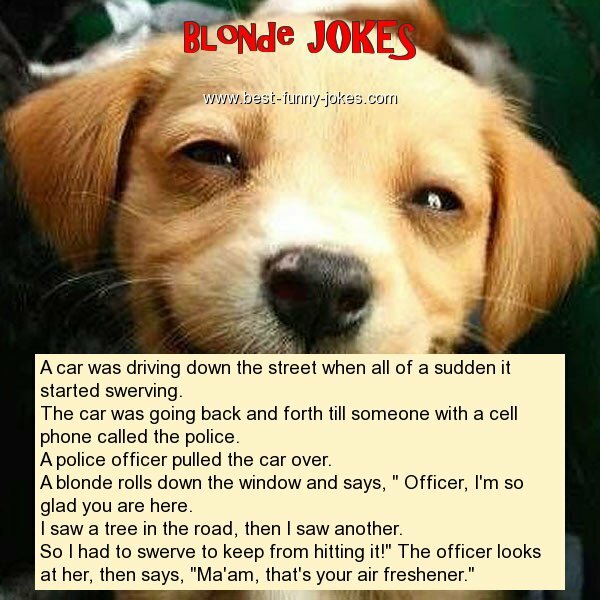 A blonde rolls down the window and says, " Officer, I'm so glad you are here. I saw a tree in the road, then I saw another. So I had to swerve to keep from hitting it!" The officer looks at her, then says, "Ma'am, that's your air freshener."